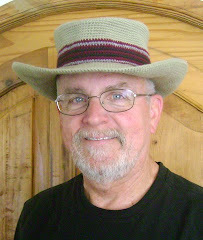 I received a custom request for a hat for a friend of a potential customer based on another hat I had made, but in a different color (black) and "flatter on top". Never one to back away from a challenge, I spent several days getting it to look the way the potential buyer described it. 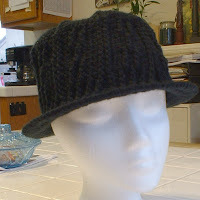 Well, after finishing the hat and sending pictures to the potential customer, she notified me her friend had already found a hat. Too bad for me. Oh well, this cloud has a silver lining because I like the new hat so much, I'm attempting to duplicate it and will eventually create a pattern for this one.